Well! It is not so easy to impress upon the United States’ SharkTank Jury. And if you have impressed them, then you are certainly worthy of your creations. Chaitanya Hiremath, Founder of Scanta.io, is probably the first Indian origin entrepreneur to ever win the Shark Tank Showcase and the prestigious Draper summer pitch, 2018 in San Francisco for his creation. Notably, Scanta was also recently selected by Forbes 30 under 30 as the ‘Most Disruptive Start-up of 2018’. Hiremath’s Scanta is a venture that aims to disrupt the way people live, learn and communicate by joining Augmented Reality with Machine Learning technology. Nicknamed as Chad, Hiremath started working on game engines and animations while doing his research in Prague. Consequently, he started an animation company with an aim to create hyper-realistic 3D Animations. Although it was a huge learning curve for him, Chad hardly found any monetary success. As a result, he lost all his savings during the process and had to put an end to this endeavor. The turning point arrived when he had the opportunity to showcase his talent and exhibit his business idea at the Shark Tank Showcase in the United States. Not giving up so easily, Chad started working on developing Scanta during a very low point in his professional life. He pitched the business idea to over 120 investors and had absolutely no luck. The turning point arrived when he had the opportunity to showcase his talent and exhibit his business idea at the Shark Tank Showcase in the United States. Since he was cash strapped at that point, he took a $2,000 loan from friends and family just to be able to make it to the showcase. With all the effort he can give, he won the first place amongst 30+ start-ups from all over the world and became the first Indian to win the showcase. Since then, there has been no looking back and he has been able to continuously raise capital from the United States- and German-based investors. Scanta’s foundation dates back to September 24th, 2016. The intent was to make Scanta build the future of communication with intelligent AR Avatars. These Avatars could then be integrated with 3rd party Apps and smart devices. The ideology behind bringing Scanta to life is to disrupt the way we communicate through the magic of Machine Learning and Augmented Reality. Constantly building on its ideology, Scanta has steadily grown to offer an array of different applications revolving around Augmented Reality. Chad is constantly attempting to make AR as a tool that can be used to make games much more immersive for the users. Scanta’s two products Polygoons and AR Dunk are two examples where objects can be augmented in real time for gamers to interact with. Taking the technology forward, Chad is now focusing on intelligent 3D animation through Machine Learning technology. This new tool will be able to cut down time and cost to animate games, revolutionizing the way games will be produced. New technology will always redefine our lives. Chad says that there are already proven used cases of AR applications in different industries such as healthcare, retail, manufacturing, education, etc., which improves society as a whole. By having a shared network or platform, individuals in a society will be brought together. Chad predicts that in the coming years AR will be used to augment consumers to have a face-to-face option with the customer care executive. Looking at the need for AR-based solutions from the telecom perspective, Chad says that companies in the network and data services vertical are compelled to provide an experience where customers can feel close to an actual one-on-one interaction rather than just a voice coming from a telephone. Chad predicts that in the coming years AR will be used to augment consumers to have a face-to-face option with the customer care executive, thus ushering in a new form of interaction that is capable of tending to customer queries and resolving it faster. Answering to the next most inevitable question on the anxious expectation and consequence of 5G, Chad promptly said that the new-age technology, like AR/VR, will be perfect for 5G deployment. “Technologies such as AR/AI/VR etc. all have high data consumption and the current network limits the use of these technologies. By deploying 5G and increasing the overall network and speeds, new age technologies will prevail with it,” opines Chad. Scanta, so far, has managed to raise more than $600k from investors such as Accent Capital, SB enterprises, and Ethereum Classics Labs. Chad is open to seeking funds for his next seed round. 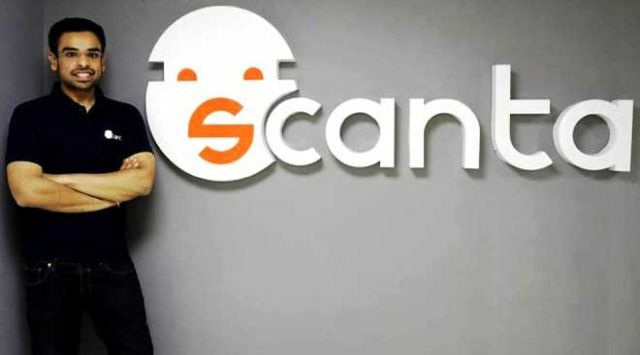 His other intention is to implement a licensing system for Scanta’s production services through intelligent 3D animations. “Machine learning is the key component on what we are working on right now and taking that as a fundamental technology, we feel like it’s imperative to build products in the future. Scanta will indulge in this key area of expertise because we have been through this process where we spent hundreds of thousands of dollars on the animation process, and if those could be animated by itself, it would really solve a multi-billion-dollar problem in the market,” ambitiously concludes Chad. As technologies like AR/VR will behold the future, startups like Scanta will be seen riding the future-tech market. Entrepreneurs like Chad will be seen working double time to deploy these technologies making our society more digitally capable. This SharkTank recognized Indian startup is going places with its Augmented Reality products 0 out of 5 based on 0 ratings. 0 user reviews.